"The best part about coming to work every day is knowing that I am educating and helping people maintain good oral health. There are very few professions where one can combine Art and Science… Dentistry truly is a merger of these two disciplines." Sanjay K. Kataria, DMD is focused on providing the best possible care to his patients. Dr. Kataria attended the University of Michigan where he received his Bachelor of Science in Neuroscience and completed his dental school training at Boston University Goldman School of Dental Medicine. After graduating dental school, he completed a two year General Practice Residency at Albert Einstein Medical Center Philadelphia, where he served as chief resident the latter year. He has experience in multiple dental specialties and has extensive training in managing and treating dental emergencies as well as complex cases. Dr. Kataria continues to stay informed of the most recent innovations in dentistry through attending continuing education courses. He is a member of the American Dental Association and Delaware Valley Academy of Osseointegration. 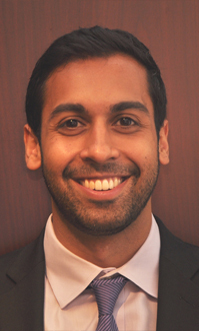 Originally from the Philadelphia suburbs, Dr. Kataria was born and raised in West Chester, PA. He has a variety of hobbies and interests, including playing tennis, long distance running, trying new restaurants, traveling, and cheering on the Philadelphia Eagles.